London: Design Capital is the new NLA exhibition which explores the global reach of London’s built environment industries. This exhibition is the outcome of a new NLA Insight Study. Roundtables, viewpoints and interviews, as well as a survey of the NLA membership of over 500 organisations, have been combined with a call out for projects to produce this piece of research. A two-month programme of events taking place for the duration of the exhibition will further explore key themes, forming a core part of the NLA International Dialogues programme. An exhibition of photography and film by Wolfgang Weileder based on Transfer Laban, 2016, the artist’s architectural installation presented at Canary Wharf during LFA2016. Over the two-week period, the 40m long façade of Herzog & de Meuron’s Laban Building in Deptford was momentarily revealed through a process of simultaneous construction and deconstruction while the structure moved slowly across Montgomery Square. A series of public dance performances were presented on site, developed in collaboration with choreographer Charles Linehan and students from the Trinity Laban Conservatoire of Music and Dance. The project was recorded using specially constructed photographic cameras and photographic plates that were exposed for the entire two-week duration of the installation. 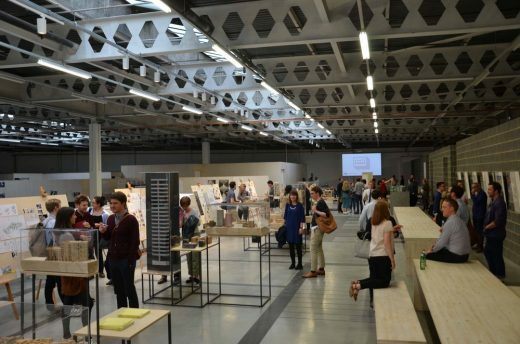 Annual exhibition of work by graduating students from The Cass School of Art, Architecture and Design. Architecture courses represented will include BA Architecture (RIBA Part I) ,Professional Diploma in Architecture( RIBA Part II) and MA Spatial Planning and Urban Design. Selected work by Foundation year Architecture and Interiors students will also be displayed. Visitors to the exhibition – the largest the Cass has ever mounted- will also enjoy work by students from the Art and Design areas at the School including Fashion, Fine Art, Furniture, Graphic Design and Illustration, Interior Design, Jewellery and Silversmithing, Music Technology, Musical Instrument Making, Photography and Textile Design. 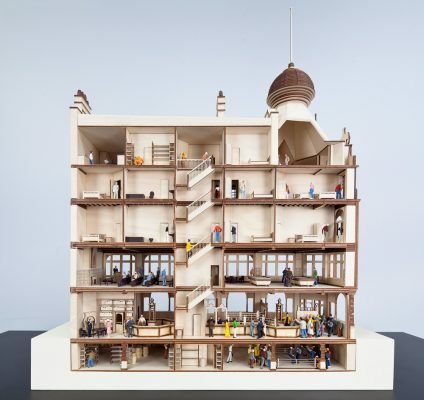 Over 500 students from the Bartlett School of Architecture will be exhibiting an incredible range of inventive, creative and visual work including models, drawings, films, multimedia installations and digital fabrications. This will be the first Bartlett Summer Show to take advantage of the impressive new spaces in the School’s completely refurbished home at 22 Gordon Street. #johnremembers is an Instagram campaign by John Robertson Architects inviting members of the creative community and wider public to post photos of London with a personal story on what the place means to them. Entrants will be in with a chance to win a City photography tour with professional architectural photographer Grant Smith and could be featured in an exhibition at DreamSpace Gallery alongside some of the best and brightest on the design scene. Hammersmith town centre is changing – and the changes come faster and faster. Already places that once formed the scenery for many people’s most vivid memories of Hammersmith – like the Hammersmith Palais – have disappeared. Many more will follow. This exhibition will capture the character of a handful of places in central Hammersmith, including Hammersmith Town Hall, the Broadway Centre, and the Apollo. Come and explore their changing character in the past, the dreams and schemes envisioned for them, and glimpses of their possible future. ZHA UNBUILT: a series of exhibitions featuring a selection of unrealized designs illustrating the continuous process of Zaha Hadid Architects’ on-going design investigation. This exhibition explores a selection of recent design concepts which showcase the remarkable innovations and research that are the foundations of Zaha Hadid Architects’ acclaimed architectural works currently in development. “The future is certain”, according to an old Soviet joke. “It’s the past which is unpredictable.” This exhibition reflects on the ways history is written and the inevitability with which the past reasserts itself in the future. Bringing together works from nine New East artists and collectives, The Future is Certain is an economy of ideas and artworks as well as historical facts and records that refuse to disappear on their own. Night Time is the Right Time is a major exhibition and event programme exploring ideas for better 24-hour cities. The project is supported by the Mayor of London and will form part of the London Festival of Architecture programme. An international ideas competition which seeks small-scale interventions, built or proposed projects and futuristic ideas for better cities at night was launched as part of the programme. Winning entries will be showcased in the exhibition and their key themes will be examined more deeply in a series of events. Modernism was a hugely influential movement which continues to impact our world today. But the ideas grew from a very different global context than the one we live in today. So how can the tenets of modernism be relevant now and, more specifically, what are we preserving when we refurbish and renew modernist buildings? What challenges do designers face in turning these buildings into ‘modern’ useful buildings? Showcasing three very different schemes, the exhibition provides an invaluable lens through which to explore the environmental, technical and philosophical challenges in Making More of Modernism for the 21st century. Imagine fluid and organic glass follies, or colourful crystal cathedrals that cover entire mountain chains and even reach into space. Emerging architecture and research practice Space Popular make their UK debut with a unique installation for the Werkstatt’s gallery space: The Glass Chain explores an alternative future for glass in architecture inspired by the legacy of the infamous Glass Chain Letters. This is the UK’s first exhibition of architectural backdrops from classic anime films. Over 100 technical drawings and watercolour illustrations depict fictional future worlds, inspired by Asia’s real story of ruthless urban development. The exhibition features artwork from some of the most influential productions in the genre’s 1990s heyday, including Production I.G’s work for Ghost in the Shell, which has defined the style of anime we think of as typical today. Phantom Railings (2012–2014) is an interactive installation that uses sound to highlight the absence of railings from a Bloomsbury garden square by recreating the ´ghost´ of its lost fence. The installation recalls a particular episode in London’s socio-spatial history: the removal of railings from London’s private squares as part of the 1940s war effort, the subsequent ‘democratisation’ of green space in the city centre, and the ruling decision to reinstate fences in the newly accesible public spaces. Considering that memory is the theme of this year´s Festival of Architecture, Phantom Railings will be installed once again in Malet Street Gardens, a garden in central London whose railings where removed during the war and, unusually, never replaced – leaving a line of iron stumps along the surrounding wall. An exhibition and discussion of ideas about the future of London’s major arterial roads – how can we Create Boulevards for London? Over the last few months, Create Streets have arranged for communities and architects across London to team up for mini-charrettes where they have together created their vision for Boulevards in their local area. 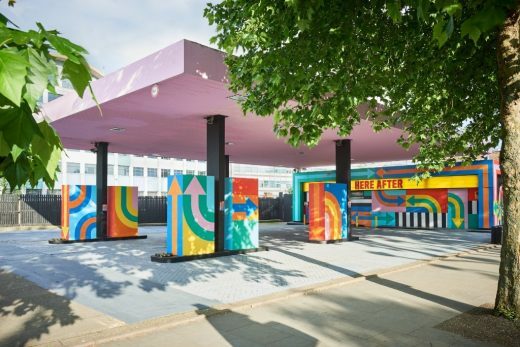 The mini-charrettes were run with HTA Design in Grove Park in Lewisham, JTP Architects on the Holloway Road, Islington and Urban Engineering Studio and Alexandra Steed Urban at Clapham Road in Lambeth. Drawing on this year’s London Festival of Architecture theme, Memory, author and critic Robert Bevan will chair a panel discussion orgainsed by Historic England and the British Council, exploring the politics and challenges of protecting and preserving cultural heritage in post-conflict contexts. It will question who and what are the priorities for the protection of cultural heritage? Addressing identity, place and memory, the panel of international speakers will look at the impact of digital technology and the future of preservation. For the fourth and last event ICOMOS-UK is hosting within the Festival, we’ll address the issues around the restoration of heritage sites. 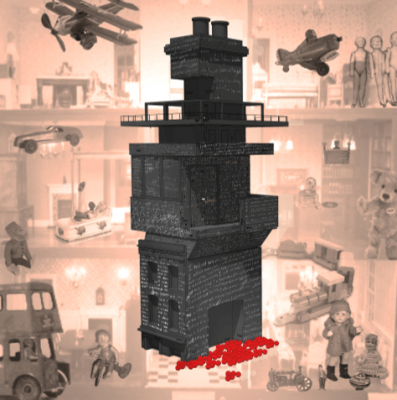 Does Architectural reconstruction enhance memories or does it erase them? This will be will be discussed in the current context of devastation in Syria, Yemen and elsewhere and the international debate that reconstruction has prompted. 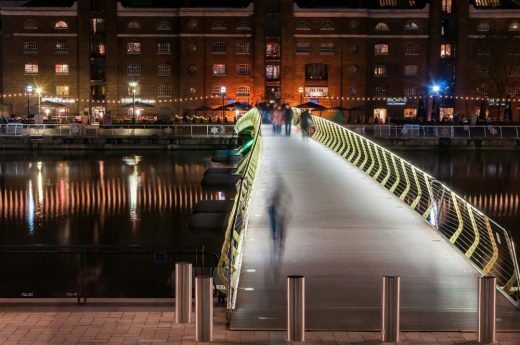 This guided tour leads participants along the river at night and allows them to gain awareness of how darkness and lighting affect the way we see and experience riverside public space. The walk, which begins by tracing the historic edge of the north bank, explores the variety of after-dark environments that have evolved along the river and examines the way in which light ‘edits’ views of the city after nightfall. The tour highlights the history of civic ambition that shaped the public spaces and infrastructure along the river and encourages participants to imagine the future potential of these spaces. Futurehone is a collection of townhouses built to passivhaus standards. Recent years have shown a significant step-change in both consumers’ and the industry’s standpoints on sustainability with sustainability becoming a purchasing driver. Our event will offer insights into the design and architecture of the homes, exploring its innovative approach, low energy construction methods with the use of CLT and Passivhaus. Hosted by Delvendahl Martin Architects and Maccreanor Lavington this symposium will bring together architects and urban designers who have helped shape the plans and development in the Royal Docks over many years. The Royal Docks are a rich source of memories of departures, journeys and arrivals, and the event will ask how the strategic vision and masterplanning proposals of the past have informed the recent and ongoing projects in the area, and how these will determine the accelerating and unfolding future of the Royals. What is the place that is being created and how does it relate to previous plans? Explore one of London’s most iconic hotels – The Waldorf Hilton, where graceful architecture can be found at every turn. Impressive today as it was on opening in 1908, the 190-foot frontage of Aberdeen granite with sculptured Portland stone columns – topped by a frieze of cherubs representing the arts and sciences – has been described as a “majestic example of Edwardian design and construction.” This intimate guided tour will delve into the hotel’s rich history. Dr Anya Matthews, will discuss the Painted Hall, Greenwich (1707-26) at the annual Wren Talk in St Bride’s Fleet Street. 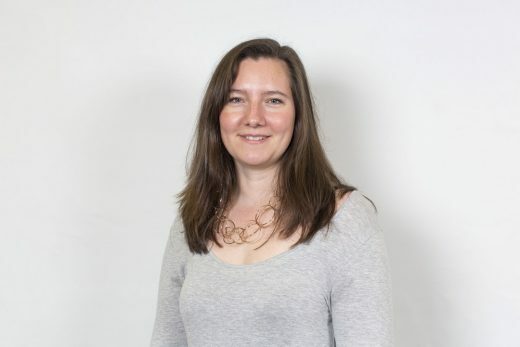 Dr Matthews is Research Curator, for the Painted Hall conservation project at the Old Royal Naval College, where she is leading the project to conserve James Thornhill’s masterpiece and one of London’s baroque glories. Paul Finch, Director of the World Architecture Festival will introduce the topic and facilitate the audience Q&A session. This timely documentary looks at how the destruction of culture is used as a component of war and how memory can be recovered. The screening will be followed by a panel discussion including Robert Bevan, author of the book on which Tim Slade’s film is based, artist Jo Scorah and Tate curator Mark Godfrey. Construction booms like the current one all too often wipe out layers of London’s past and replace them with sterilised new streetscapes. The result is a thinning of the urban texture and a loss of markers communicating the city’s history and evolution. However a new generation of architects is finding ways to repurpose existing structures, including sites with little heritage or aesthetic value, as a way to create new strands of urban fabric whilst retaining resonant elements of the old. This evening session will bring together architects, anthropologists, developers and cultural institutions to explore how memories of streets and buildings can be harnessed to support new purposes and ideas. A live sketch-up event is taking place at King’s Cross on June 28th in aid of Maggie’s Centres. It will bring together a range of professionals, amateurs, architects, artists, students, illustrators and designers to take part in a public sketching session that will also engage passing visitors to the area. A series of giant tables will be set up with a range of sketching themes and activities taking place throughout the afternoon. Large-scale rolls of paper will be used, with experienced practitioners sketching alongside informal doodlers. 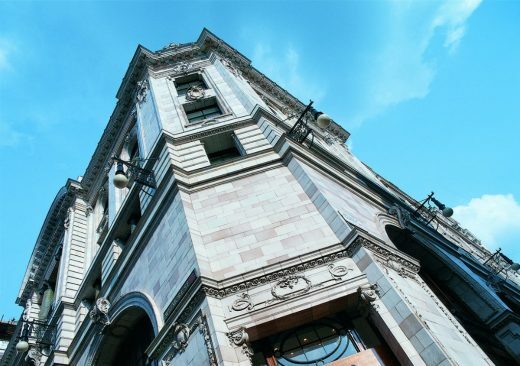 This talk looks at three impressive blocks occupying the prestigious address of 1 Threadneedle Street, all built by the commercial firm Eagle Star. Those from before and after World War 2 were for its own use; a surprisingly subtle Post-Modernist successor by Fitzroy Robinson was for rental to others, yet its presence and surroundings echo both. Drummonds is one of Britain’s oldest private banks, providing personal, private and business banking services to clients in the UK. As well as offering the traditional private banking services, today Drummonds is also one of only a handful of banks chosen by Camelot to provide a specialist banking service for UK lottery winners. This year, as part of the London Festival of Architecture, eight practices are hosting the 2017 edition of ArchitectsParty. Tate Harmer, B3, Farrells, Superfutures, Harrison, Dexter More Associates, DOSArchitects and aLL Design are opening their doors to sector enthusiasts and professionals for what is sure to be a series of memorable evenings. Using archive images, Historian Sean Creighton will trace the major development changes in Nine Elms, from an area of marshland and market gardening with some riverside industry, to an industrial area dominated by railway yards, the Gasworks, Nine Elms Brewery, water works and other industrial enterprises. His talk will cover the changes in the workforce employed in these activities and the role of activists like John Burns, John Archer and Charlotte Despard. StreetGym® is a one hour, urban physical adventure including warm up and cool down. Architectural features, gradients and street furniture become workstations where you’ll perform sets and reps of bodyweight based exercises or work for time before jogging on to the next workout area. It’s a really healthy way to explore urban terrain, have fun and see a city through a different lens. 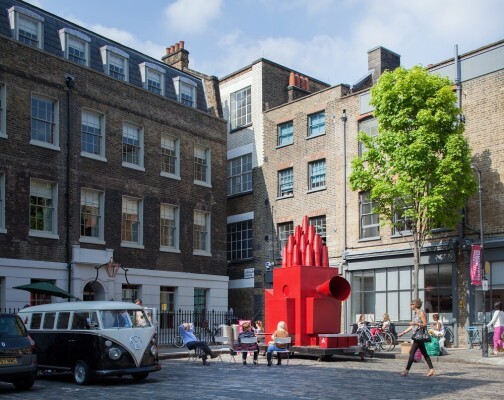 Architects and Landscape Architects, Untitled Practice will showcase designs in a drop-in session for the transformation of the historic Yards off Borough High Street, focused on White Hart Yard. They have been appointed by Better Bankside, Team London Bridge and Southwark Council to rethink how this can become a well-used pedestrian link in to Guy’s Hospital and Kings College London, using a combination of heritage interpretation, lighting, greening and materials. Join us for an evening panel discussion during the final week of the London Festival of Architecture: BIG CEO Sheela Søgaard, ZHA Global Head of People & Talent Caroline Roberts & Design Haus Liberty Founder Dara Huang will take you behind the boardroom for an insightful talk on leadership & talent cultivation in the design industry. Moderated by Marcus Fairs, Founder of Dezeen (media partner). This debate will discuss how we use memory in architecture and urban design to connect with the communities for which we build. It will consider the architectural framework for memory and the use of historic continuity in urban design. Speakers will address shared or collective memory, how it is found in communities and how it can be expressed in design. The debate will examine the process of the addition and renewal of memory and how new design assists or impedes the identity of communities with new buildings and places. As we’ve just passed the half way point of the London Festival of Architecture 2017, it’s worth remembering why this year has focused on the theme ‘memory’. Through almost 600 events, this year’s festival is showcasing London as a city rich in memories, and as a focus for memories drawn from all over the world, report the LFA. However, the four events highlighted below perhaps encapsulate why memory is such an important theme to people and places. Last year’s screening of Rob Bevan’s film The Destruction of Memory was a powerful reminder of how the built environment has been harnessed as a weapon of war and that, for many, identity and memory are matters of life and death. The power of the built environment to capture and celebrate memories was therefore irresistable. Join the SPAB for an evening exploring how good new design work can be used to sympathetically revitalise neglected old buildings and bring them back into use. As well as discussing the SPAB’s approach to new design in historic contexts, we will be hearing from the two joint winners of last year’s Philip Webb Award, each of whom will present their winning schemes and discuss how they relate to the theme of place and memory. The London Festival of Architecture 2017 is now well under way since the opening party at Number One Poultry. Waterhood considers the significance of reappropriating industrial space along the River Thames for a floating, ecological community of affordable homes. Led by dRMM founding director, Professor Alex de Rijke, this Walk invites you to inspect and question the pioneering masterplan of the East-London Royal Victoria Docks. 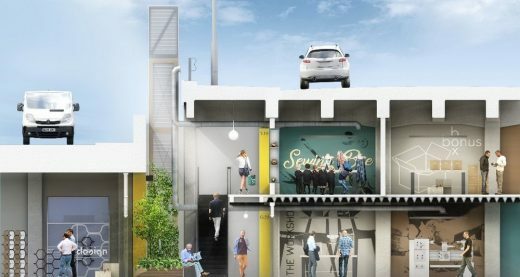 The scheme is described as a ‘kit of parts’ and allows for user-led configurations of homes, creative workspaces, shops and more, set around open water squares and public spaces. Stop by Benjamin Franklin House on a Monday throughout June to join an Architectural Tour of the Grade 1 listed property. One of the House’s knowledgeable guides will highlight the Georgian features of the 1730s building along with its fascinating history encompassing Franklin’s long residence (1757-1775), the Hewson anatomy school, and the comprehensive conservation project that saved it from dereliction. 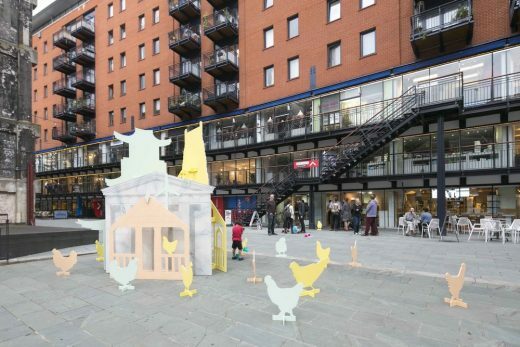 VINCI St. Modwen, in partnership with the Covent Garden Market Authority, invites you to relive memories of New Covent Garden Market and see how new memories are being created in the Market that has been feeding and flowering London for centuries. 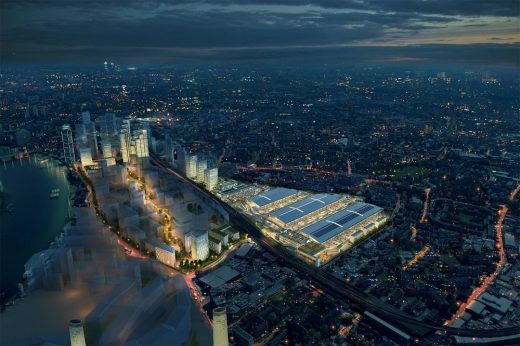 As the market enters a new stage of evolution join us to celebrate its continuing significance and impact in an event for the 2017 London Festival of Architecture featuring a screening of short films, talks and a panel discussion to rediscover the past and unveil the future of the market and its place at the heart of Nine Elms. Taking inspiration from the fifth edition of our recently published place-based newspaper, a hosted conversation will reflect upon the legacy of London’s Docklands. Dr Sue Brownill and Dr Loraine Leeson will join Hilary Wainwright to discuss planning approaches and community responses to the re-development of the Docklands. The conversation will consider the role of development corporations in making our city, and reflect on two remarkable grassroots projects sparked by the LDDC: The People’s Plan and the Docklands Community Poster Project. 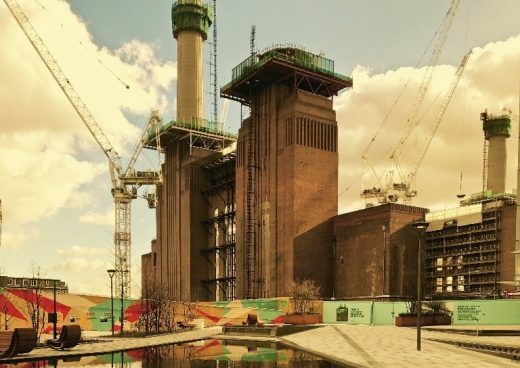 Enter a ballot to win a chance to see Battersea Power Station up close on a tour led by a member of the local community. The tour will start at the newly opened Circus West Village, and venture into what is still a building site for the refurbishment of the Power Station, getting a unique peek into the works that are currently taking place. Join Architecture Sans Frontières for a half-day workshop to explore how communities can meaningfully influence urban regeneration processes, encouraging development that is grounded in local histories and supports the needs and aspirations of residents. Following his death in 1837 John Soane left his house and collection to the nation stipulating that it should be preserved as it was at that time and that it should be kept open and free for the public’s inspiration and education. This historic house, museum and library of 19th century architect Sir John Soane is now made digital. 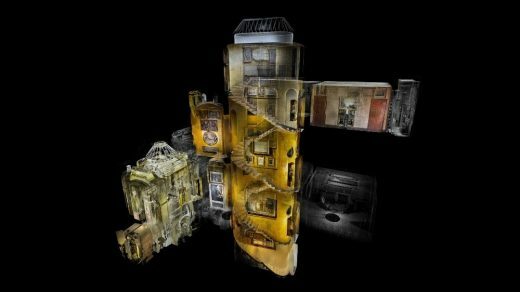 As part of Vision 2017, the Soane Museum will team up once again with ScanLAB to discuss creating digital memories of physical spaces by exploring one of London’s greatest architectural masterpieces through the lens of virtual reality. The presentation will feature Owen Hopkins from the Sir John Soane Museum and Will Trossell from ScanLAB Projects who will reveal how they used the latest in 3D technology to scan and digitise a wide selection of Museum rooms and objects – including Soane’s Model Room, and the ancient Egyptian sarcophagus of King Seti I. Make Architects is an award-winning international architectural practice with a reputation for challenging convention and pursuing design excellence. Founded in 2004 by Ken Shuttleworth, Make now has studios in London, Hong Kong and Sydney and has delivered nearly 70 built schemes. You can expect dozens of models in all shapes, sizes and materials, 3D printers going full-tilt, photos of projects, some friendly Makers, and the chance to experience virtual reality with a HTC VIVE headset. What’s more, you can also visit Make’s fantastic neighbours upstairs, Glenn Howells Architects and Fletcher Priest Architects. Farrellswill open their doors as part of the 2017 London Festival of Architecture to give a series of talks and short tours on the inspiring history of their building and the role memory plays in architecture and urban design today. This is a wonderful opportunity to meet the newer generation of Partners and the wider Farrells team for tours of the building and explanations of the Farrells design process from desktop to model shop. Join German premium kitchen brand bulthaup and Danish flooring company Dinesen for an architects’ breakfast at bulthaup’s Mayfair showroom. Get your day off to a great start with a delicious Danish themed buffet breakfast prepared by Gaggenau in the working kitchen. The event celebrates ‘table culture’ in open plan kitchen living spaces so network over breakfast at one of new b+ tables and learn more the Dinesen flooring range. Scenario Architecture will be celebrating their 10 year anniversary in conjunction with London Festival of Architecture at the Dreamspace Gallery. Going back to the origins of their understanding of architectural space, this exhibition explores Scenario’s design process as it evolved and slowly abstracted over the years through their built work and adoption of emerging technologies. Black architects are being celebrated at a brand new exhibition opening on Monday, as part of London Festival of Architecture. Curated by award-winning Simone de Gale Architects, the exhibition showcases the successes of a number of black architects from across the world, including Phil Freelon and Elsie Owusu OBE, through interview, images and audio. It opens at New London Architecture’s headquarters, Store Street, on Monday June 5th. 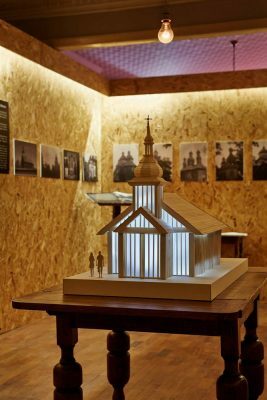 The exhibition, which has a London theme and focuses on local black architects or those who are practicing in the city, will be open to the public throughout June. Simone de Gale, who won Architect of the Year earlier this year, is the brains behind the exhibition and believes it will have a positive impact on the industry. The architect, whose architecture practice is based in Belgravia, said: “We realised through our own research that there’s an under-representation of successful black architects in the UK, so it was time to put that right. We have crafted this exhibition to showcase those who have created beautiful, ground-breaking architecture across the world. Celebrating Excellent Black Architects will move to Stephen Lawrence Charitable Trust from July 10th to August 11th, where it will co-ordinate with student workshops and talks. Mid-September, it is hoped to move to RIBA Headquarters for one week to coincide with RIBA Late Night Tuesday and the Stephen Lawrence annual memorial lecture. Part of the exhibition will move to the George Padmore Institute for a one night themed event in October, before all of the material will finally be submitted to the Black Cultural Archives to enhance their collections and for use in future exhibitions and further references. New London Architecture can be found at The Building Centre, 26 Store Street, London, WC1E 7BT. Spotlight on the Royal Docks – one of this year’s focus locations for LFA2017 alongside Nine Elms Vauxhall and the Northbank. 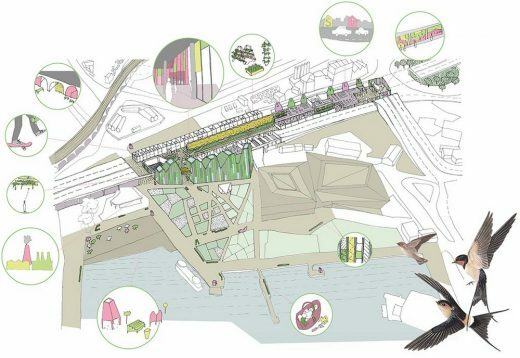 Shortlist unveiled for the LFA’s Silvertown Flyover design competition, which has been organised in partnership with the Royal Docks partners. 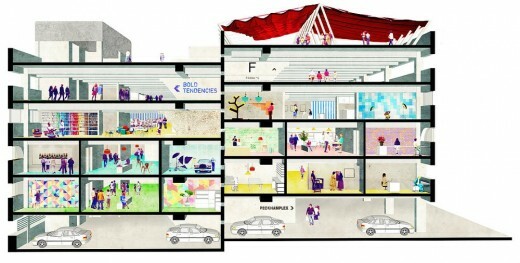 The London Festival of Architecture (LFA) today announces six shortlisted practices to design new creative workspace and improved connections beneath and around the Silvertown flyover, in the Royal Docks area of Newham, east London. 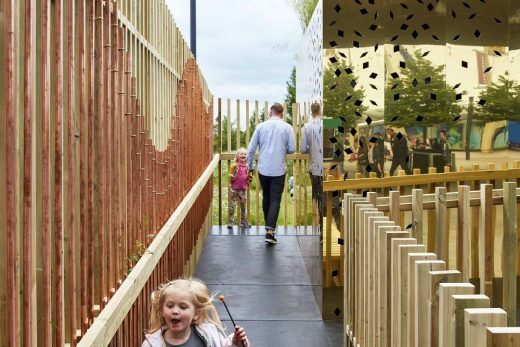 The design ideas competition has been organised by the London Festival of Architecture with Royal Docks partners, as the Royal Docks prepares to become a focus area during the London Festival of Architecture 2017, which runs across the capital from 1-30 June. The festival programme features an exhibition of the shortlisted projects at the Siemens Crystal from 16-30 June. The Silvertown flyover is currently a challenging piece of transport infrastructure at the western gateway to the Royal Docks area of east London, and the winning design will be chosen on its potential to attract and retain creative businesses in the Royal Docks as the area emerges as a new business district for London. As well as proposing creative new uses for the currently vacant site, it is hoped that the design competition will also offer innovative and practical responses to the logistical challenges of building under working flyovers in London and elsewhere. There was an amazing response to the Silvertown Flyover call for entries, with proposals from 53 practices from the UK and overseas. The London Festival of Architecture promotes positive change to London’s public realm, and with the Silvertown Flyover competition we have already produced a series of imaginative ideas in response to a complex and constrained urban site. Our exhibition in June will show the wider public how architects can look at things differently to resolve difficult problems, and I’m delighted that we are enabling creative solutions to address the pressing need for quality workspace for London’s creative sector. Take a walk around Silvertown and hear about the history of the area, social stories from the past and a look at how it is all about to change. This tour views the exteriors of sites including the iconic Millennium Mills, the derelict Tate Institute, the remains of Tay Wharf and the closed down Georges Diner (without the apostrophe!) plus some original picket line grafitti, an overgrown dead pub, a Victorian church that is now a music hall, and a memorial to an explosion at a local munitions factory. Composer Benjamin Tassie and poet Anna Freud will present a surround-sound live choir installation at the disused Carlsberg Tetley Building. The choir will ‘perform’ the architecture of the site with audiences connected to Silvertown’s past and present through the shared, immersive experience of song. Architects SODA will offer a tour of the space and a bar will be open late into the evening. The Brutalist Carlsberg Tetley Building will become London’s latest meanwhile workspace centre for creative enterprises, start-ups and local businesses. Left derelict for more than 20 years, the site will become a dramatic, temporary workspace for everyone from large-scale set designers to music producers, fashion designers and traditional artists. Led by social entrepreneur Nick Hartwright, tenants will play a key role in the ‘development and discovery phase’ and will not be displaced once a final scheme is agreed. 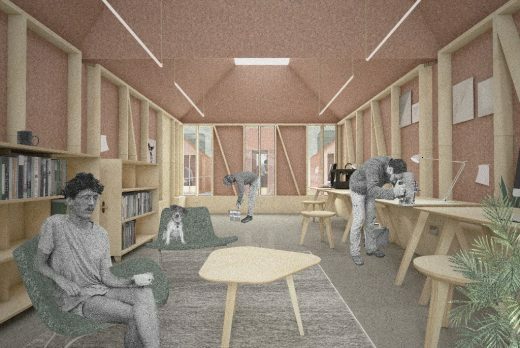 Architects SODA are making a number of key interventions to connect spaces and provide flexible, adaptable areas. 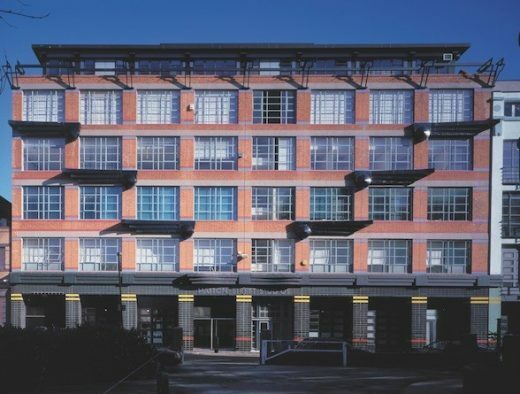 Part of a series of LFA events at Royal Albert Wharf curated by Notting Hill Housing and Bow Arts, this exhibition will examine the heritage of the Royal Docks and the exciting plans for Royal Albert Wharf. Artists’ responses on the theme of remembered landscapes and visions include Anna Gibb’s special drawing of the docks for the event, and Stephen Guy, who will test mechanical sculptures that harness the powers of wind, gravity and salt, celebrating memories of the life and heritage of the area. 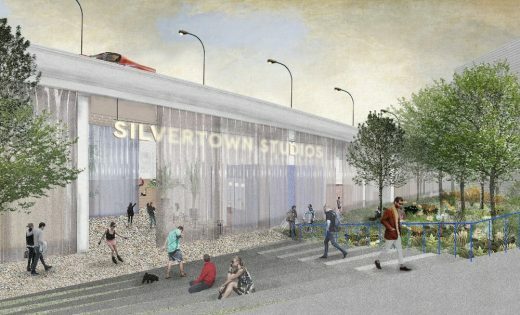 The shortlisted entries in the Silvertown Flyover design competition, chosen from 53 entries from all over the world, will be showcased in this exhibition by architects designing new creative and improved connections beneath and around the Silvertown flyover. The Royal Docks are a rich source of memories of departures, journeys and arrivals, Hosted by Devendahl Martin Architects, this talk explores how such memories may inform the future of the Royals. Focusing on the perspective from the east of the Dock, the event explores potential physical, economic and cultural connections through the Docks and back into London. While the Thames borders prime development areas that are changing rapidly, waterways are often overlooked as a solution to infrastructure, housing and social needs within the city. This walk invites you to inspect and question the pioneering masterplan of the East London Royal Victoria Dock: a scheme is described as a ‘kit of parts’ which allows for user-led configurations of homes, creative workspaces, shops and more, set around open water squares and public spaces. We Made That presents The Unlimited Edition: Live! This hosted conversation will reflect upon the legacy of London’s Docklands, and the regeneration process that began in the 1980s, bringing political controversy and a surge of local protest and community organisation to Dockland’s neighbourhoods. Dr Sue Brownill and Dr Loraine Leeson will join Hilary Wainwright to discuss planning approaches and community responses to the re-development of the Docklands. The conversation will consider the role of development corporations in making our city, and reflect on two remarkable grassroots projects sparked by the LDDC: The People’s Plan and the Docklands Community Poster Project. Join ASF_UK and Citizens UK/TELCO for a half day workshop in the Royal Docks area. This interactive learning workshop will explore ways in whcih London residents and increase meaningful participation in urban development planning processes, to reflect common memories and shared values for the future of our neighbourhoods. Richard Rogers is joining Sir David Adjaye and Daniel Libeskind to complete a brilliant line-up of global architectural superstars taking part in the London Festival of Architecture 2017. Richard Rogers will be in conversation with fellow architect Boris Bernaskoni at the Design Museum on 22 June, where they will discuss their work and the influence of the Russian avant-garde on contemporary architecture. 100 years on from the Russian Revolution, they will explore how its reverberations continue to influence design and culture today. The London Festival of Architecture is extremely grateful to our network of patrons, without whose support the festival would simply not exist. As patrons, businesses can play a leading role in shaping the festival programme, participate in key festival events, and enjoy a series of important promotional benefits. If you would be interested in joining the LFA patrons network, contact the festival team. LFA founder Peter Murray used his latest onoffice column to highlight our research – produced in patnership with the Mayor of London’s economics team – into the huge economic value of London’s architecture sector and its reliance upon (and appeal to) a diverse global workforce. You can read Peter’s column here. With an election campaign under way and Brexit negotiations just around the corner, the research is invaluable in making the case for a sensible deal with the EU that protects the interests of London’s architecture sector. Thanks to the support of our network of supporters and participants drawn from London’s built environment sector and beyond, the LFA is seen by opinion-formers and decision-makers as an authoritative voice for architecture. Our work doesn’t stop when the festival ends on 30 June: we will be active all year round in championing the needs of London’s built environment and those who work in the sector. As this year’s London Festival of Architecture gets closer, LFA announce another big name as part of the emerging line-up. 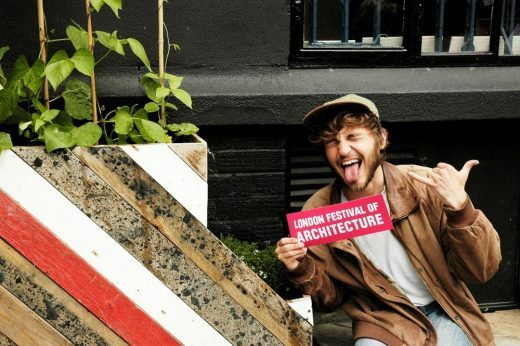 The full programme is going to be revealed on Tuesday 2 May: exciting plans for the programme launch will be revealed at www.londonfestivalofarchitecture.org. The festival simply couldn’t happen without the generosity of our sponsors, patrons and other supporters. Today we’re delighted to announce our 2017 patrons, representing some of the best names in architecture, and working with us to produce some fantastic events in June as part of the biggest ever London Festival of Architecture. We are honoured to announce that Sir David Adjaye OBE will be one of this year’s London Festival of Architecture headline acts, as he gives the NLA Annual Lecture 2017. In conversation with LFA founder and NLA Chairman, Sir David will speak about his work and approach to urban renewal in London and around the world. Sir David is recognised as a leading architect of his generation. 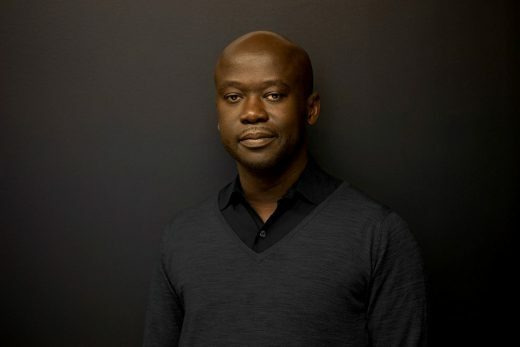 After founding Adjaye Associates in 2000, he won several prestigious commissions including the Nobel Peace Centre in Oslo (2005) and the Idea Stores in London (2005), which were credited with pioneering a new approach to the provision of information services. His largest project to date, the $540 million Smithsonian Institute National Museum of African American History and Culture, opened on the National Mall in Washington DC in 2016 and was named Cultural Event of the Year by the New York Times. Adjaye Associates now has offices in London, New York and Accra with projects in the US, UK, Europe, Africa, Asia and the Middle East. Sir David Adjaye joins Daniel Libeskind as part of a line up of global architectural giants participating in this year’s London Festival of Architecture. There’s more to come – watch out for further announcements! 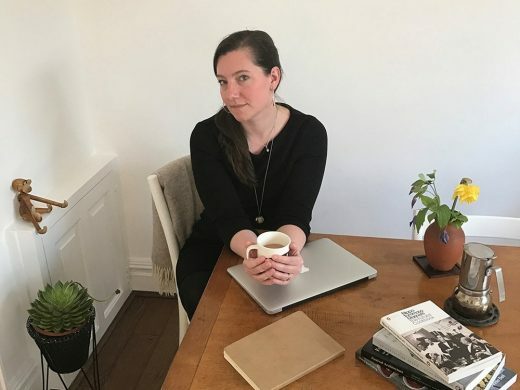 LFA director Tamsie Thomson revealed her favourite places and shared tips as a through-and-through Londoner to the Evening Standard’s My Design London column last week. You can read Tamsie’s interview here. Late night culture is ingrained in London’s built environment – with memories of everything from medieval taverns to punk venues never far from the city’s surface. Supported by the Mayor of London, Night Time is the Right Time is an ideas competition for small-scale interventions that explores ideas for better 24-hour cities, and an exhibition of those ideas will form part of the London Festival of Architecture 2017 at The Building Centre. The ideas competition remains open until 20 April, and judges include London’s Night Czar Amy Lame, architect Carl Turner and chairman of The Built Environment Trust Lewis Blackwell. If you haven’t quite got your plans in place for LFA 2017 or still need time to think, don’t worry – the call for entries is being extended for this year’s London Festival of Architecture Fringe until 5.30pm on Friday 10 March. LFA are looking for proposals for events that can fun or serious, and anything from exhibitions and lectures to pub quizzes and treasure hunts. Events can respond to London’s past, present, or future – or indeed anywhere else in the world that has a connection with our amazing global city. More information on how to enter can be found at the website: www.londonfestivalofarchitecture.org. Momentum is building quickly ahead of this year’s London Festival of Architecture, with new partnerships and projects coming thick and fast. LFA Open Studios is back for 2017 – bigger and better than ever before – and will once again be one of the most popular elements of the festival for architectural practices and the public alike. A major new partnership with Royal Docks Partners has been announced, as the emerging “City in the East” will be one of the principal activity hubs of this year’s festival. There’s just a few more days left before the LFA 2017 call for entries closes. We’ve seen some pretty amazing proposals coming in so far, and we’re looking forward to seeing many more. Keep them coming – but don’t leave it too long! LFA Open Studios returns to the London Festival of Architecture once again in 2017. One of the most popular elements of the festival, Open Studios is a fantastic way for firms to show off their work to a huge public and professional audience. As our new 500 Club members Child Graddon Lewis (above) found out last year, It’s a chance to have fun, showcase what makes you special and make new connections. For the first time the RIBA, CIAT, Landscape Institute, NLA and Institute of Structural Engineers have joined together to facilitate their membership in participating. This is a unique event for the public, clients and other building professionals to see, experience and understand the design work that goes into making a building. 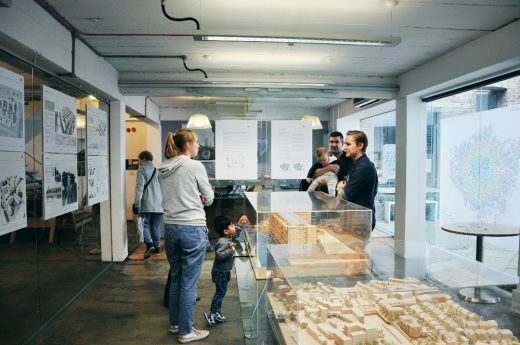 LFA Open Studios is an opportunity for the thousands of people who take part in the London Festival of Architecture to enjoy a behind the scenes glimpse into the life of London’s built environment practices. It’s entirely up to practices to decide what they can do: for instance it could be an exhibition, a talk, a drop-in design surgery, or a model-making workshop for children. 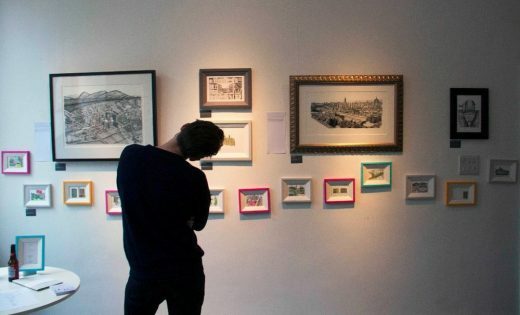 Past experience has taught us that there is enormous public appetite for LFA Open Studios – firms should use their imaginations and let public curiosity do the rest! We are particularly focusing our open studios this year in four areas: Southbank 2/3 June, Fitzrovia 9/10 June, Shoreditch 16/17 June and Clerkenwell 24/25 June. We are activity recruiting practices for these areas which will involve activity on either the Friday or Saturday of the specified weekend or both if preferred. We will support these practices with co-ordinated marketing, curated tours and additional fringe activity. Of course we welcome participants from other parts of London too – in 2016 we had events in almost every single London borough. Events can be at any time of day, although we find that weekend or evening events work particularly well. We also encourage all practices in our hub areas to open for a Friday evening after work apertivo. If you would like to take part in LFA Open Studios 2017 please contact info@londonfestivalofarchitecture.org. The call for entries will close on 21 March. To help our marketing team, please provide some useful high resolution images that represent your practice or your proposal. We will also need contact details, as well as your practice’s web and any social media addresses so we can spread the word. The London Festival of Architecture (LFA) today announces a major new partnership with Royal Docks Partners, as plans take shape for the Royal Docks Enterprise Zone and Opportunity area to form the east London activity ‘hub’ during the festival, which runs from 1-30 June 2017. 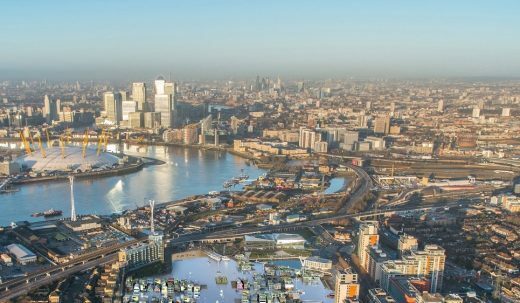 The Royal Docks sits at the heart of what has become known as London’s ‘City in the East’ and presents one of the largest regeneration opportunities in London. The GLA planning team, working closely with the London Borough of Newham, is preparing a new Opportunity Area Planning Framework for the Enterprise Zone and the wider area which sets out proposals for accommodating up to 25,500 new homes and up to 60,000 jobs, of which around 4,000 homes and 40,000 jobs are likely to be within the Enterprise Zone. We are extremely grateful to Royal Docks Partners for their generous support to the London Festival of Architecture. As Europe’s largest annual architecture festival, we have the ability to raise awareness of the changing physical face of London, and we’re delighted to be working with Royal Docks Partners to engage designers, decision-makers and the general public as London’s newest business district takes shape. There’s only a few days left before the call for entries for this year’s London Festival of Architecture Fringe closes on 28 February. We’re exploring the theme ‘memory’ in 2017 – a rich theme that can be interpreted in countless interesting ways. We’re looking for proposals for events that can fun or serious, and anything from exhibitions and lectures to pub quizzes and treasure hunts. Events can respond to London’s past, present, or future – or indeed anywhere else in the world that has a connection with our amazing global city. More information on how to enter can be found at: www.londonfestivalofarchitecture.org. “Since we announced “memory” as the theme for LFA 2017 in November, we’ve been delighted at the number of great ideas that have come in already for the 2017 festival. Now it’s time for people, practices and organisations – whoever and wherever they may be – to give us their ideas for events and activities that can capture the imagination and generate debate next summer. “The London Festival of Architecture is all about participation, and we want people to interpret “memory” in whatever way they see fit. It’s a concept that is fundamental to a sense of identity and place, and allows us to explore people’s experiences of London, and engage people in ways that gives them a say on London’s future. The London Festival of Architecture was founded in 2004, and is now firmly established as Europe’s biggest annual architecture festival. In 2016 there were over 350 events over 30 days covering 23 London boroughs, attracting over 26,500 visitors. The festival celebrates London as a global hub of architectural experimentation, practice and debate. The London Festival of Architecture provokes questions about the contemporary and future life of the city, and promotes positive change to its public realm. The London-wide programme is delivered by a diverse mix of architecture and design practices and practitioners, cultural and academic institutions, artists and many others.